Good. No Jacket. Size: 19 to 25 cm tall, Octavo, (8vo); 482 pages. 1st class post to the UK, Airmail worldwide. Robust packaging. Good. VG condition book with dust jacket. DJ is clean, has fresh colours and has little wear to edges. Book has clean and bright contents. Near fine in Very good jacket. Near fine/VGC plus. Little Brown and co, 1996. First UK edition-first impression. Grey hardback(gilt lettering to the spine, two small nicks on the edges of the cover and spine) in near fine condition, with Dj(very small tear on the edges of the front Dj cover, a couple of creases and nicks on the Dj cover) in VGC plus. Illustrated with b/w photos. Nice and clean pages with a couple of ink marks and nick on the outer edges, two small creases on the edges of the pages. Nice and clean book with light shelf wear on the Dj cover.484pp including Filmography, source notes, bibliography, index. Price un-clipped. Heavy book(approx 1.1 Kg). 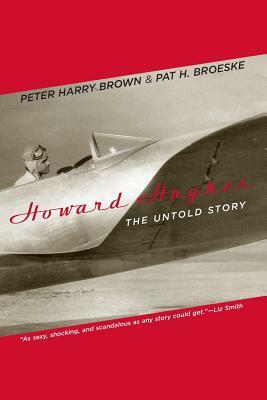 There have been many books written about Howard Hughes, but this is the first one I have read. From the very first, as his childhood is told, I felt sorry for Hughes. His mother was a terrible, obsessive-compulsive, mother that marked Hughes for life. Because of her he came to use sickness, real and imaginary, to control his life. It was said that Hughes went crazy towards the end of his life, but this book says no. Dr Jeffrey Schwartz, a professor at the UCLA School of Medicine stated that "Hughes was in no way insane or incurable", that he suffered from an obsessive-compulsive disorder. Because of his mother he was never allowed to be a teen-ager, and because of his father, he was taught that money could solve every problem. In his early twenties he became sick, and when he finally got better he was almost deaf. His vanity wouldn't allow him to wear hearing aides so he missed out on most conversations. People thought his inattention was because he didn't care about others, but, in fact, was simply because he couldn't hear. To get the feel for the man, you must read the book, but be prepared to feel pity for the billionaire.